Internet has been always two sides of a coin. It has both the bad side as well as the good side. Android smartphone, as one of the parts of the internet era, is also much like internet itself. You can use your Android phone for either good or bad purpose. If you are an adult, it’s easy to figure out if this thing is good or bad. Different story goes to kids. If you have to give your kids a smartphone and have some worries that they will access inappropriate contents, you can spy them using a parental control app. There are lots of parental control apps you can install on the Android phones of your kids. They typically offer a web-based tool which you can use to monitor phone activities as well as apply some restrictions to prevent your kids from using certain apps. A parental control app is pretty helpful for parents to protect their kids from the bad influence of smartphone. Following are some of the best parental control apps you can install on your kids’ Android phone. The first app you can try to monitor your kids’ activities with their Android smartphone is Spyzie. It is a premium tool, but you have a chance to figure out if this app suits your need or not for free by making use of the offered demo. The good thing is, you don’t need to root the Android phone you want to spy. Spyzie is a feature-rich Android parental control app. You can use it to spy apps like WhatsApp, Facebook to Instagram. It also features a keylogger so you will always know what have your kids typed. One of the interesting feature offered by this app is Schedule Restriction. Of course, this app also features GPS tracker. You can control the target’s phone using its web-based tool. In addition to Android, Spyzie is also available for iPhone. SpyFone also offers plenty of features you can use to either restrict phone usage or monitor the activities. You can use SpyFone to spy nearly everything. From images taken, image downloaded, new added contacts, calendar, activities on social media apps and so on. This app also features keylogger in case this feature is matter to you. Some of the interesting features offered by this app are Live Viewing Video and Live Screen Viewing. SpyFone also allows you to monitor the target or apply certain restrictions via a web-based tool. Same as Spyizie, SpyFone is also a premium app but you can try it for free to test its features. In addition to Android, SpyFone is also available for iPhone. You can also use mSpy to monitor what your kids do with their smartphone. You can also install this app on your kids’ smartphone without having to root the phone. But, if you want to spy the instant messaging apps (like WhatsApp, Line or Facebook Messenger), you need to root it. mSpy works on Android 4.0 or later. The overall features offered by mSpy are not much different to the two first apps above. You can also use this app to monitor the images taken, image downloaded, track GPS location. It also features a keylogger to log all of your kids have typed. You can also use mSpy to spy iPhone devices. FlexiSPY is a monitoring tool that you can use to monitor a wide range of devices. You can use it to monitor iPhone, PC, Mac and Android devices. FlexiSPY is compatible with Android 4.0.3 to 8.1. You can also install this app on the Android phone of your kids without having to root it. But, some advanced features require you to root it. FlexiSPY offers you to do such things as accessing the images on the target remotely, view call logs, view notes, track GPS location and so on. The app of FlexySPY runs in a hidden mode on your kids’ phone so they won’t realize they are being spied. FlexiSPY offers a demo to allow you test its features. Just like the name suggests, SecureTeen is developed to make your kids secure when using smartphone. Specifically, this app is aimed at making your kids safe from online dangers. SecureTeen itself is not specifically built for Android. Instead, you can also use it to monitor iPhone and desktop PC (Windows). The features and capabilities of this app are not much different to the first four apps above in which you can block your kids from using certain apps, monitor their activities, track their locations and so on. You can use this app for free during the trial period to test the offered features. BlurSPY is another great parental control app for Android. You can also use it to monitor your employees. BlurSPY is probably the best suited app if you want to monitor the use of WhatsApp on your kids’ smartphone because this app doesn’t require you to root your kids’ Android phone to monitor WhatsApp. BlurSPY offers a unique feature that allows you to take screenshots with target’s phone remotely and save them to the BlurSPY server. BlurSPY also works in the hidden mode so your kids (or your employees) won’t realize they are being monitored. BlurSPY itself is compatible with older Android versions. It works from Android 3.0 to the current version of Android. BlurSPY also offers a demo to allow you test the offered features. Just like the name suggests, Android007 is developed specifically for Android. You can also use it to monitor your kids. This app also comes with basic features like the ability to view call logs, view images, read SMS and track the GPS location. Android007 also has the ability to read WhatsApp and check social media, but you need to root the target’s Android phone to use these features. Advanced features like keylogger, the ability to take screenshots remotely and the ability to make a spy call are also available. I can’t find the demo or trial version of Android007 so you probably can’t use this app for free for testing purpose. 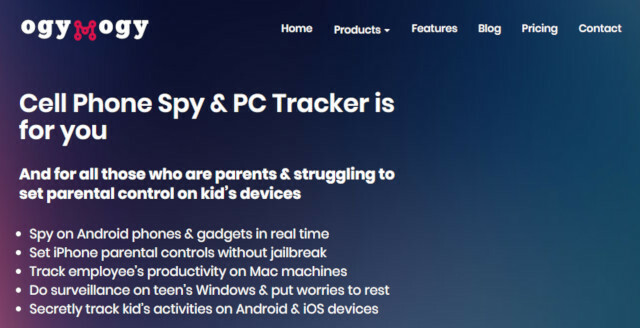 SpyBunker is another option that you can use if you need to monitor your kids’ smartphone, particularly Android although this app can also be used to monitor iPhone. The features offered by this app are not much different to apps above. It also comes with basic features that allow you to monitor call logs, read SMS, view images and so on. This app will also let you know over SIM card change on the target’s smartphone. If you think that you need to monitor the use of instant messaging apps like WhatsApp or Line, SpyBunker also allows you to do so but, rooted device is required. Same as Android007, SpyBunker also doesn’t offer neither demo nor trial version. You can also use OgyMogy to monitor your kids’ activities with their smartphone. OgyMogy itself is not developed specifically for Android. In addition to Android, this app can also be used on iPhone, Windows PC and Mac. 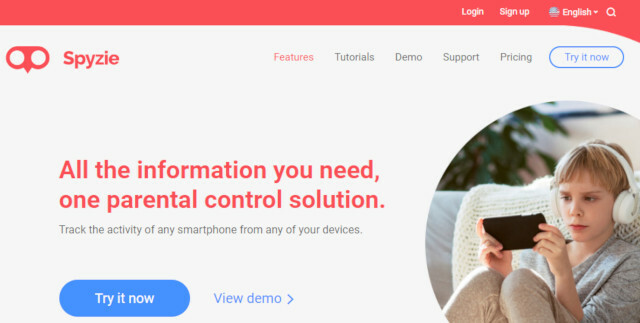 Some of the parental control features offered by this app are the ability to prevent your kids from accessing inappropriate contents and monitor such things as call logs, browsing history and so on. LogsKit is developed specifically for Android. This app will logs the activities of the target’s Android phone and send them to the LogsKit server via your account and you can read the logs via its web-based tool. The features offered by this app depending on the plan you choose. For instance, the Basic plan only allows you to read SMS history and access the phone book. Features like the ability to logs view the browsing history and monitor call logs are don’t available on the Basic plan. LogsKit offers a live demo so you can try it first to figure out if the app suits your need or not. If you are looking for a parental control app that offers a demo, try to take a look at MoniMaster. You can figure out how powerful this app is via the offered demo. MoniMaster itself is available for Android and iPhone. It has plenty of advanced features like keylogger, Wi-Fi logger, the ability to take screenshots and so on. Same as other apps above, MoniMaster also works in a hidden mode. MoniMaster is capable of monitoring WhatsApp on an un-rooter Android phone.